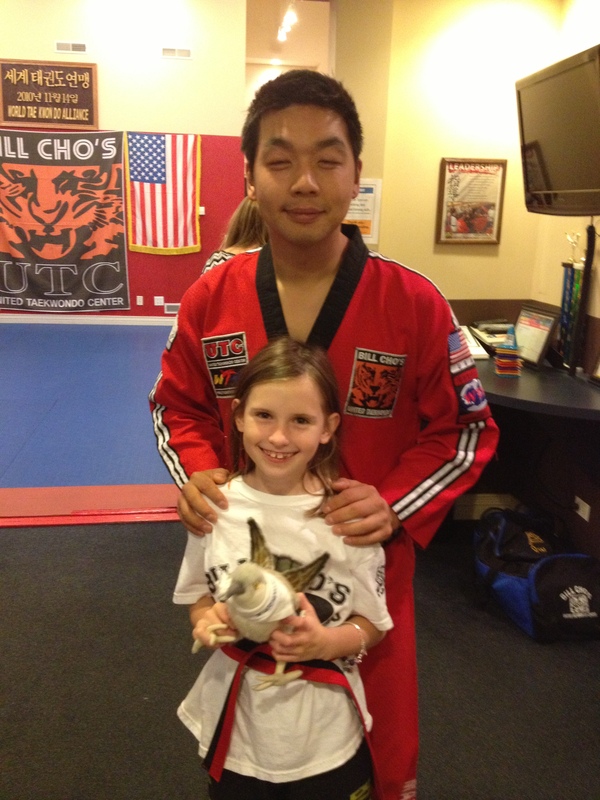 This week Frank traveled to Bill Cho’s United Taekwondo Center in nearby St. Charles with 4th grader, Leah. Although he wasn’t given an honorary black belt, he is a self-proclaimed master of the “flying falcon kick.” Leah said Frank learned lots of self defense moves and kicks during their time together. Here’s a picture of Frank & Leah with one of her taekwondo instructors. Congratulations on staying active through martial arts and sharing your sport with all of us!